Showing appreciation and expressing gratitude never goes out of style. Along with the ushering in of springtime, March welcomes a fresh opportunity to thank a special group of people for their valuable contributions – our doctors! March 30th was established as National Doctor’s Day in 1991 by the late President George H.W. Bush. For those who are called to this profession, to those who pursue their passion to help others, for those who dedicate their time and give their all for their patients, Medi-Share recognizes and thanks you for all you do. To honor this group of individuals, we want to discuss helpful information to keep in mind when calling your provider, especially if Medi-Share is new to you or your doctor’s office. First, let’s work through some necessary terminology. What is a PPO and how is it different from an HMO? According to www.healthcare.gov, a PPO is a type of health plan that contracts with medical providers, such as hospitals and doctors, to create a network of participating providers. You pay less if you use providers that belong to the plan’s network. You can use doctors, hospitals, and providers outside of the network for an additional cost. A referral is not required to visit a doctor. A PPO is different from an HMO (Health Maintenance Organization) which typically limits coverage to care from doctors who work for, or contract with, the HMO. It generally won’t cover out-of-network care except in an emergency. 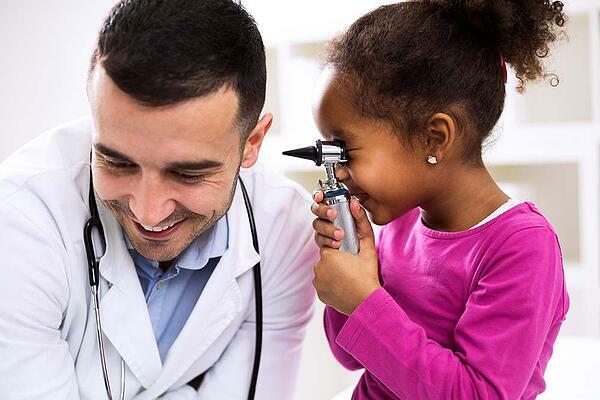 HMO members usually have a Primary Care Physician (PCP) and must get referrals to see specialists. Is my doctor part of Medi-Share’s Preferred Provider Organization (PPO)? What if my doctor is in network but has an exclusion? Why would my doctor exclude Medi-Share? Some PHCS providers have exclusionary language in their contracts specifying they will only work with insurance entities. They are not necessarily excluding Medi-Share but, rather, bill sharing ministries in general. Many healthcare organizations may not be aware that Medi-Share works directly with providers. How do Medi-Share members access the PHCS network? The PHCS logo is located on the ID card, which you will show when you get to the provider’s office. It includes details for your provider regarding your provider fee, pre-notification requirements, and how to submit their bills for sharing. What if I try to schedule an appointment over the phone and don’t have the opportunity to present my ID card? The medical staff interacting with patients (like schedulers or pre-registration personnel) may not be aware of Medi-Share’s PPO participation, but if you state that your healthcare provider uses PHCS that might be helpful. Again, the best person to speak with if you encounter difficulty may be the billing supervisor or billing manager who can verify PHCS network details and communicate those details internally. My hospital is in-network with PHCS, but when I went to the Emergency Department I ended up with a bill that processed as out-of-network. What happened? Some physician departments within a PHCS participating facility are independently contracted and may not be a part of the PHCS network. In addition to emergency physicians, doctors who provide ancillary in-patient services at a PHCS facility and may be out-of-network are anesthesiologists, pathologists, and radiologists. Make sure you access your Explanations of Sharing (EOS) before submitting payments for billed charges. This practice ensures you are paying the correct member responsibility amount. One of the main benefits of participating in a PPO network as Medi-Share members is that you can know you are getting pre-negotiated discounted rates when seeing a PHCS provider. It may just take a little education and advocacy on the member’s part as some physician’s offices are still unfamiliar with Medi-Share. And the next time you do need to visit a doctor’s office, be sure to thank them for all they do and show the love of Christ.